Viacom is reportedly eyeing one of the biggest all-cash takeovers in recent US media history by planning to acquire Scripps Networks Interactive for around US$10.6 billion. According to Reuters, New York-based Viacom is willing to fork out cash to finance the deal, which would add the Food Network, HGTV and Travel Channel to a stable already including MTV, Comedy Central and Nickelodeon. News emerged last week that Viacom and Discovery Communications were both interested in a deal for Tennessee-based Scripps. Discovery is believed to be looking at a merger structure, similar to the one discussed back in 2014, though as the slightly larger company would likely control the combined business. Viacom has the clout to buy Scripps outright, but Reuters reported that the deal would likely mean it loses its Moody’s investment grade. Viacom’s debts are currently around U$12.17 billion. The move would be by far the biggest Bob Bakish (pictured) has made since being named president and CEO towards the end of last year. 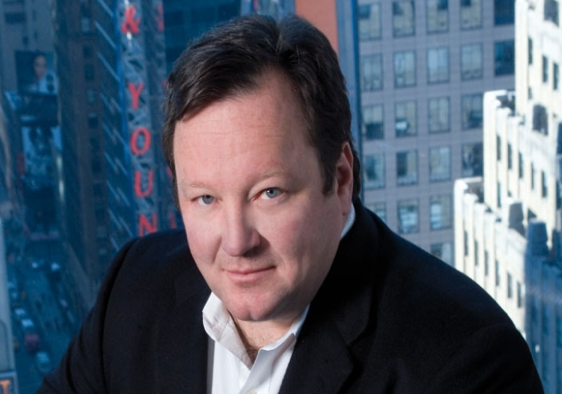 He has so far focused his strategy on core Viacom channel brands, including the creation of new US entertainment channel Paramount Network, and the sale of the company’s stake in US premium cablenet Epix to reduce debt. Much of this has been an attempt to convince shareholders the business is back on track after boardroom battles and unstable ratings led to a tanking share price under former chief Philippe Dauman. Viacom declined to comment this morning, while Scripps hadn’t responded to requests for comment at press time. A Wall Street Journal report claims Scripps’ management has been debating the merits of a sale. Besides its cable portfolio, it owns Polish commercial broadcaster TVN and 50% of UK multichannel operator UKTV. Scripps launched in 2008 when American channels group E.W. Scripps spun off its cable division as a New York-listed company.